When you contact our mold removal Chesterfield agents at 911 Restoration of Saint Louis you can be sure that you will receive the best fungus extraction services in the industry. We truly care about your wellbeing, and understand how difficult it can be to learn you have a potentially toxic substance in your home, which is why our water damage Chesterfield techs keep our phone lines available 24/7/365. When you hire our mold removal Chesterfield specialists, you can be sure that we will always put the customer first and will always support you throughout the entire fungus remediation process. We just want to make you feel comfortable with everything involved in the mold cleanup, and our water damage Chesterfield pros will do whatever is takes to make your life easier. Our mold removal Chesterfield pros use the latest cleaning technology to give you a fast and thorough restoration experience, so call our IICRC certified crew today. Once a mold infestation has begun growing inside your home it is important to get it eradicated from the premises in order to keep your health in tact. There are many different types of mold, with some being very detrimental to your health, such as black mold. By calling us the moment you notice any signs of mold you will greatly limit any problems from occurring. Our mold removal Chesterfield pros will check the entire household for traces of the substance in order to accurately eradicate all traces of fungus, ensuring that those living in the home will no longer inhale mold particles in the air. You can depend on our water damage Chesterfield specialists to turn your home back into the clean, safe environment your family deserves to live in, so call us today! When you hire our mold removal Chesterfield experts to remediate a mold situation you can literally sit back and relax knowing that we have everything covered the moment we arrive on the scene. Our water damage Chesterfield team knows exactly how to properly clean all traces of mold and fungus, ensuring that your home becomes a clean and safe place for you and your family to live. We use a comprehensive system that involves isolating the mold with vapor barriers, so when we begin eradication procedures the spores will not spread to other part of the home. Along with ensuring that your household is completely sanitized, our water damage Chesterfield crew also offers you around the clock customer service to make sure that your emotional wellbeing is in tact throughout the process. 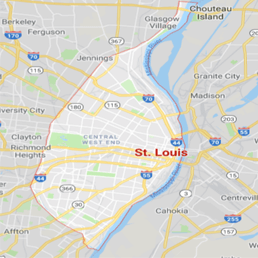 Call our mold removal Chesterfield team at 911 Restoration of Saint Louis when you need complete care and we will provide you with a fresh start today.